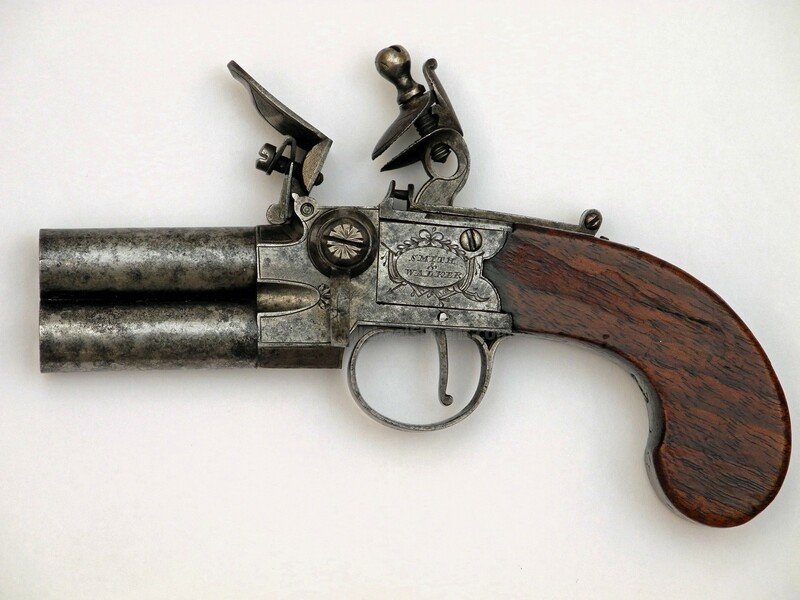 This is a very crisply conditioned over/under flintlock pistol by Smith & Walker as marked on the left side of its frame. It has a rotating pan that allows for a quick second fire. It is engraved with stands of arms on both sides of the frame and has a coin silver inlay on the back of the grip with the initials "JW" engraved in script. The gun is rifled 40 caliber, has walnut grips and is in perfect working order. 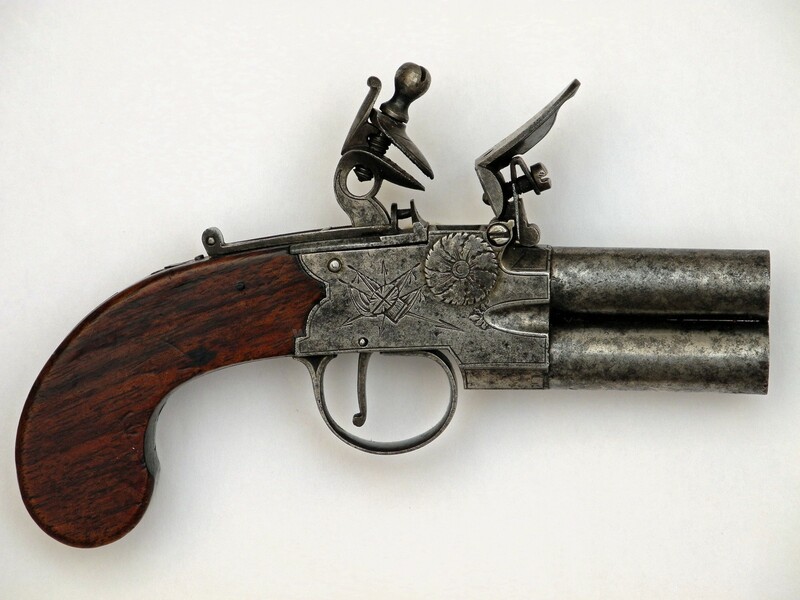 A nice little early Flintlock Pocket Pistol.